YORK HIKING CLUB OF PA. Anyone is welcome at anytime to hike with the club, come to a work hike, or participate in any activity of the club- with the exception of the annual turkey dinner, which is a member-only event. All activities are also open to children under the age of 18, when accompanied by a parent or responsible adult. For the consideration of all hikers, dogs and other family pets are not permitted at club events. A "Yearly Schedule" outlines the events for the entire year, and a monthly "Newsletter" describes in more detail the events for the month. The York Hiking Club offers a variety of fun-filled activities for all ages and ability levels. Come join us for any of the following activities. 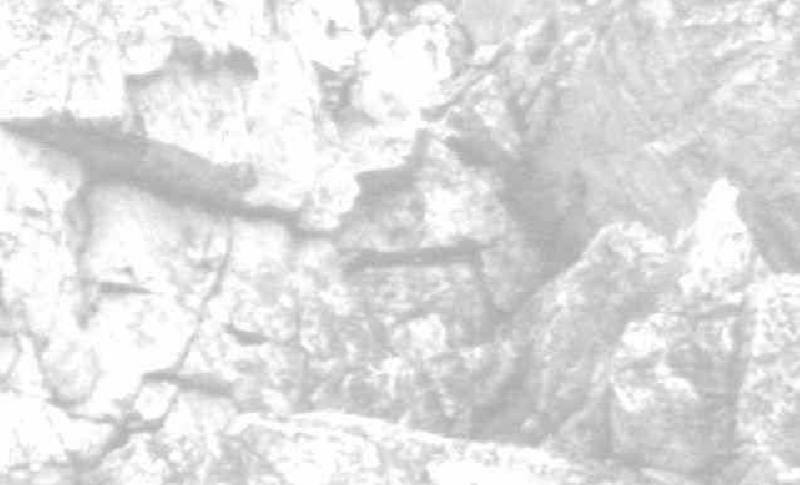 Hikes are typically offered on Sundays, with a few scheduled on Saturdays. Friendly, enthusiastic (and occasionally knowledgeable!) club members volunteer to plan and lead each hike. Short hikes are 3-5 miles in length and may involve a variety of trail and road walking with easy to moderate grades. Medium hikes are 6-9 miles in length with a variety of terrains and grades. Long hikes are 9-13+ miles in length, moderate to strenuous, and occasionally over rugged terrain. Details on each hike, including hike leader and contact numbers, a hike description, carpool information, and what to pack for the hike are contained in the monthly newsletter. Each year the club hosts a variety of special hikes and dinners, usually to celebrate a holiday and season. These include the annual turkey dinner (members only) & hike, chili dinner & hike, pork and sauerkraut dinner & hike, and spring wildflower walk & dinner. These special hikes & dinners are held at the club’s JPJ Cabin. Available to the club for use by members and organized groups. The York Hiking Club maintains the building and grounds. Club activities held at the JPJ Cabin include all hike & dinner events and several weekend get-aways usually planned for Memorial Day, July 4th, and Labor Day. Several away weekends are offered each year, usually to hike specific trails in Pennsylvania or visit special, scenic areas. A pair of weekends, one in October and one in May, is planned to section hike one trail in its entirety. Other away weekends include a spring get-away to Virginia’s Blue Ridge Mountains and a winter get-away in northern Pennsylvania. Both offer food, fun and friendships! York Hiking Club encourages members to contribute toward the maintenance of Pennsylvania hiking trails. The club maintains a 7 1/2-mile section of the Appalachian Trail north of Harrisburg and assists with maintenance of the Mason-Dixon Trail System in southern York County. Everyone is welcome to come to a work hike or sign up to be a year-round maintainer of a trail section. Contact the Trails Committee for further information. Two covered-dish socials are held each year, one in February and one in March. They are held on Friday evenings and include interesting guest speakers or slides of hiking trips to far-off places. An annual meeting and covered dish is held each October to conduct the business of the club. Regular business meetings of the Board of Directors are held quarterly at the homes of board members. 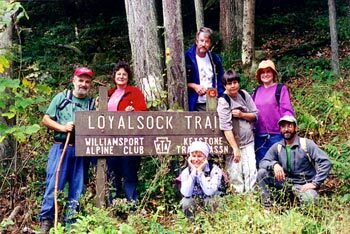 The York Hiking Club supports events of the Keystone Trails Association, Appalachian Trails Conservancy, and the Mason-Dixon Trail System. Events include: conferences, day-long and week-long trail maintenance projects, and maintenance workshops/trainings.